The new A.I.-powered Google Assistant looks great, but there's something about the software no one seems to be acknowledging. Using Google's new Assistant feature feels like the future. And in many ways, it is. But there's another side to the experience that's going largely unmentioned in all the recent discussion: the fact that using Google Assistant also feels like the past. Because in many ways, it is. Assistant lives within the Google Allo chat app, the Google Home tabletop speaker, and the new Google Pixel phones -- where it takes a newly prominent role in the Android interface. It'll almost certainly also make its way to other Android devices (and non-Android devices) in the near future. We've been hearing about Assistant since Google's I/O developers' conference this spring, and every time it comes up, it's treated as a new and exciting entity -- a cutting-edge A.I. development the likes of which we've never before experienced. But here's the thing I can't help but think every time I see Assistant discussed: Almost everything Google Assistant actually does now is something we've been able to do for years on Android and other Google products. And that's just it: For all practical purposes, Google Assistant is essentially an expanded and rebranded version of what we've previously called Voice Search, Google Now, and Now On Tap. The result, as you'd expect, is that almost every example used to illustrate Assistant's capabilities works more or less the same way on existing Android phones as it does in the demos -- without Assistant in place but with Voice Search, Google Now, and/or Google Now On Tap filling the same role. Even the Assistant's highly touted conversational ability, where it can recognize pronoun-filled follow-up questions (for instance, asking "How old is Bobcat Goldthwait?" followed by "Where was he born? "), is something that's been around in Google's software for quite a while. To be fair, Assistant does evolve the existing experience in some meaningful ways. It expands the list of third-party apps and gadgets that can be controlled via voice interaction (though, notably, the notion of third-party interaction itself is nothing new; Google opened up that ability last spring, and companies like Nest and OpenTable have been on board with it for some time). It makes the interaction experience even more human-like, which is neat. And it refines and improves the way some results are presented so they're easier to understand when you aren't looking at a screen. The Google Home device will add a few new practical possibilities into the mix, too, like being able to send music or video directly to a nearby Chromecast- or Chromecast Audio-connected appliance simply by speaking. And the open development platform being launched this December will allow even more companies to integrate their products into Assistant in an intriguingly conversational manner. Still, what we're talking about are the types of new features we'd typically see added into Google's existing apps via a low-fanfare Play Store update -- or maybe with a brief on-stage mention at I/O. Assistant is mostly just a repackaging of what we already had -- a streamlined foundation and expanded framework for a long-familiar concept. And you know what? Maybe that isn't so crazy. Say what you want about Siri (and there's plenty to be said), but practically everyone knows what Apple's virtual assistant does and how it (allegedly) works. Start talking to average non-Android-enthusiast consumers about Google Now or even just broadly about the things you can accomplish by speaking to an Android phone, and it kind of makes why sense Google needed to reframe and relaunch the features it's had in front of us for years. Maybe the take-home message here is that Google realized it had done a lackluster job marketing its features and presenting them in a way that the general public could grasp. Maybe what's been missing most all along is widespread consumer awareness and understanding of what's available. Maybe bundling these existing features together into a cleaner and more accessible package and introducing them as "new" is just the reboot Google needed -- particularly with high-profile products like the Pixel phones and Google Home looking to build upon that package and turn it into a core point of attention. 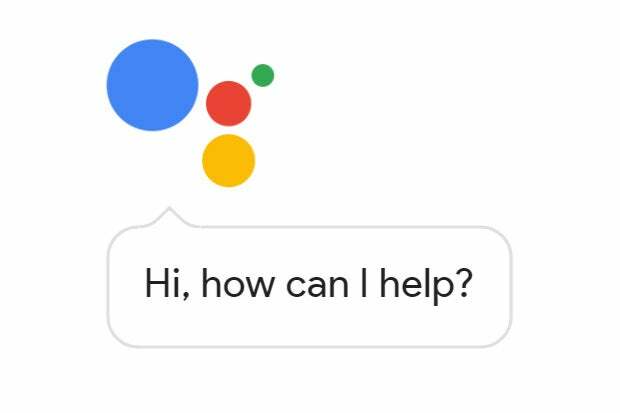 All considered, I have little doubt that the rebranding to Assistant is a smart move to make as Google works to ramp up its A.I. focus and further develop one of its most uniquely effective yet frequently overlooked assets. But still, it sure feels weird to be sitting here and watching everyone act like these last few years never happened. And I can't be the only one who's noticed.